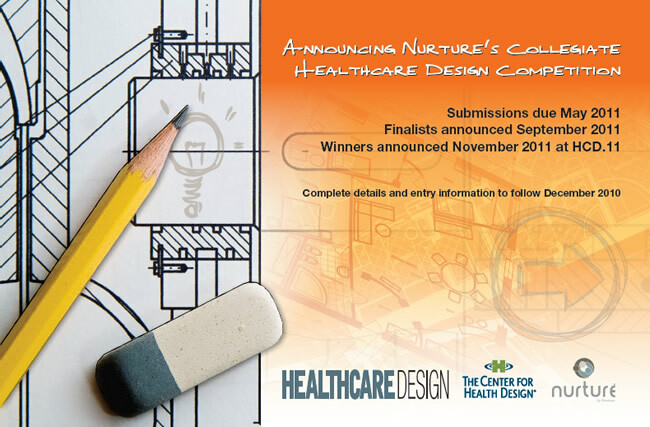 “Vendome Group, publishers of HEALTHCARE DESIGN magazine, The Center for Health Design, and Nurture by Steelcase announce a unique opportunity for students to participate in a conceptual healthcare design competition. Challenged with a theme of “waiting,” students will research the current challenges within the selected healthcare environment, determine opportunities for improvement, share their thought process, and prepare presentations demonstrating unique ways to improve the environment and/or processes within. Students may participate individually or within a team. You must register by February 28, 2011 to participate in this competition!